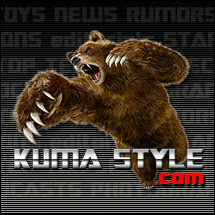 Toy Nippon: CatalogPics: Kyouryuuger Role Play Items! CatalogPics: Kyouryuuger Role Play Items! 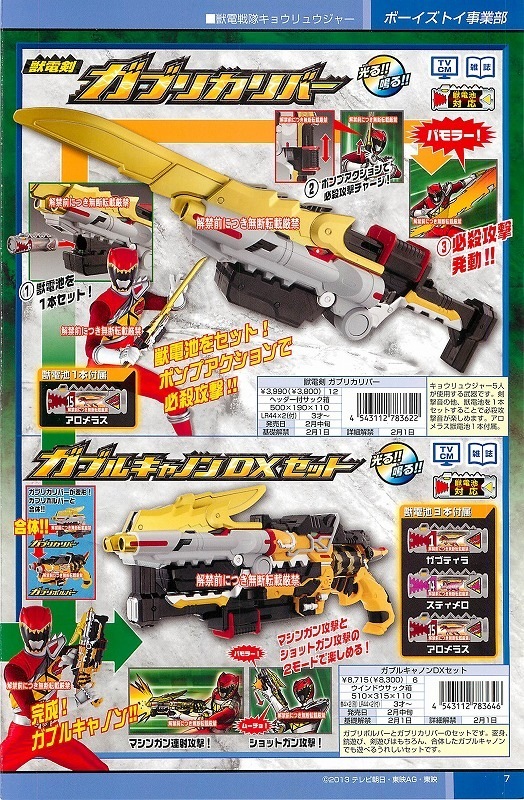 Catalog scans of Kyouryuuger's henshin device and weapon have been released. 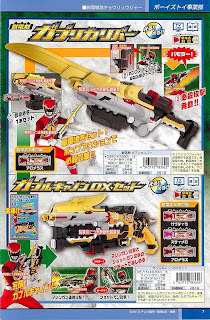 GabuRevolver is the henshin device/main weapon for the team. When the beast battery is inserted, a samba rhythm plays for the transformation sequence. It comes with the the #01 Gabutyra (tyrannosaurus) and #14 Sutimero (styracosaurus) beast batteries. The GaburiCaliber is a bladed weapon used by the team. Insert the #15 Aromerasu (allosaurus) beast battery that's included, use the pump action to charge, then squeeze the trigger on the handle for sound effects and slash away. 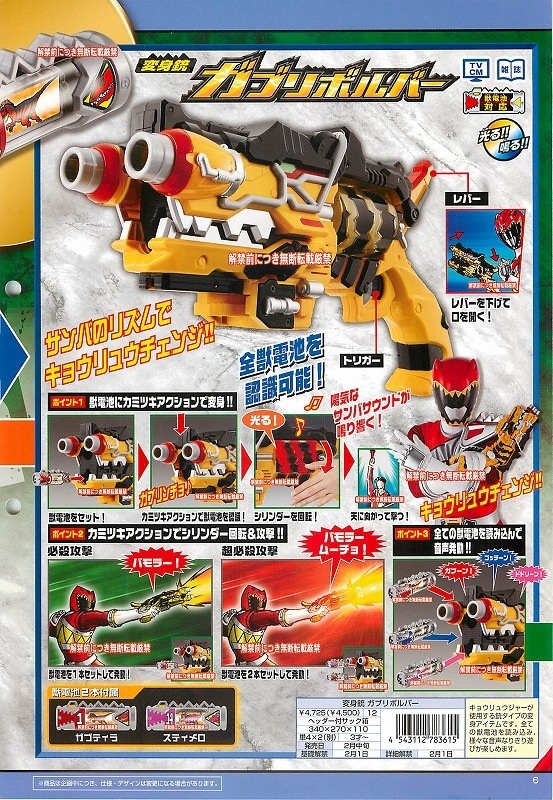 The GabuRevolver and GaburiCalibur can combine to form the GaburuCannon, which will also be sold as a set that includes all three beast batteries. The GaburuCannon has two firing modes: machine gun and shotgun. Get Kyouryuuger preorders now at Big Bad Toy Store!